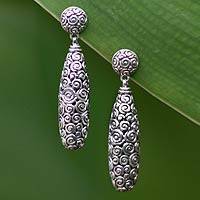 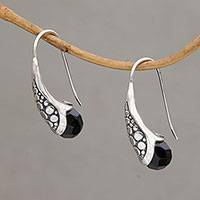 Unique Sterling Silver Drop Earrings, "Modern Romantic"
Spiraling Sterling Silver Drop Earrings from Thailand, "Tiny Spirals"
Realized in high-polish sterling silver, tiny spirals characterize these drop earrings from Thailand. 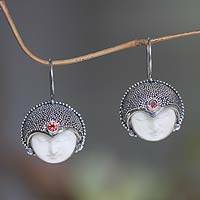 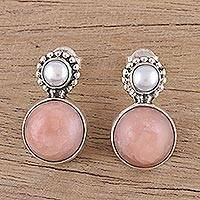 Lalana designs this lovely accessory. 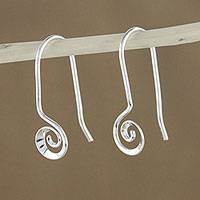 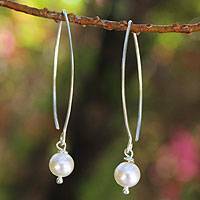 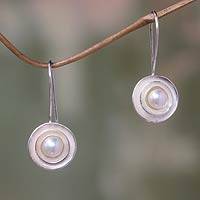 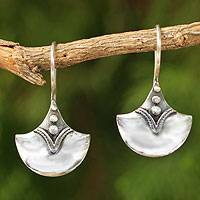 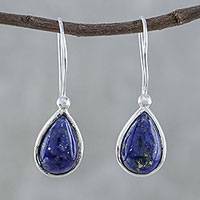 Sterling silver drop earrings, "Clouds"